Education today requires technology, so the New Medley Series of computer tables features three wire-management solutions for students and teachers---the CCFL, CCFL-W and CCFL-FT computer tables. Each has itÍs own unique method of handling cords and cables neatly and efficiently. They also provide practical functionality, quick-change mobility and height adjustability. Constructed of commercial-grade materials, they are sturdy, stand up to heavy use, and come in a flexible range of widths, depths and configurations. 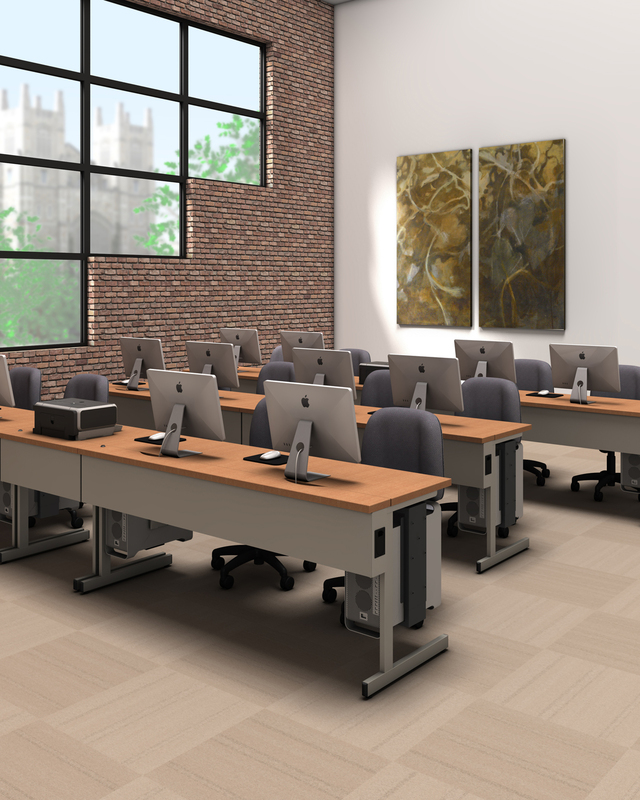 Optional casters make workstations easy to rearrange for changing lesson plans and group projects. Just as important, New Medley offers fixed- and adjustable-height leg options to fit multiple age groups and ADA requirements. Smart and simple, New Medley gives students and teachers exactly what they need when they need it. The CCFL computer table offers the most cost efficient method of wire management. A simple system of modesty panel grommets and optional plastic cord managers allow cords to be routed side-to-side in-line. Great table for use with technology that does not require extensive cord and cable control. Worksurfaces are 1_î, covered in a durable Wilson Art high-pressure laminate with a choice of t-mold or 3mm edge. A wide selection of standard colors is available, or use a non-standard laminate for a minimal custom up-charge, after factory approval.